From the West Coast Visitor Information and Booking Centre, The Esplanade, Strahan, turn right (R) and continue along The Esplanade, turning left (L) into Harold Street. Continue up Harold Street and into Harvey Street. Keep driving until you come to a round-about, where you then continue on straight ahead. Take your second right (R) into Meredith Street. Cedar Heights is located on your right (R) just past the intersection of Gaffney and Meredith Streets. We are pet friendly by arrangement. 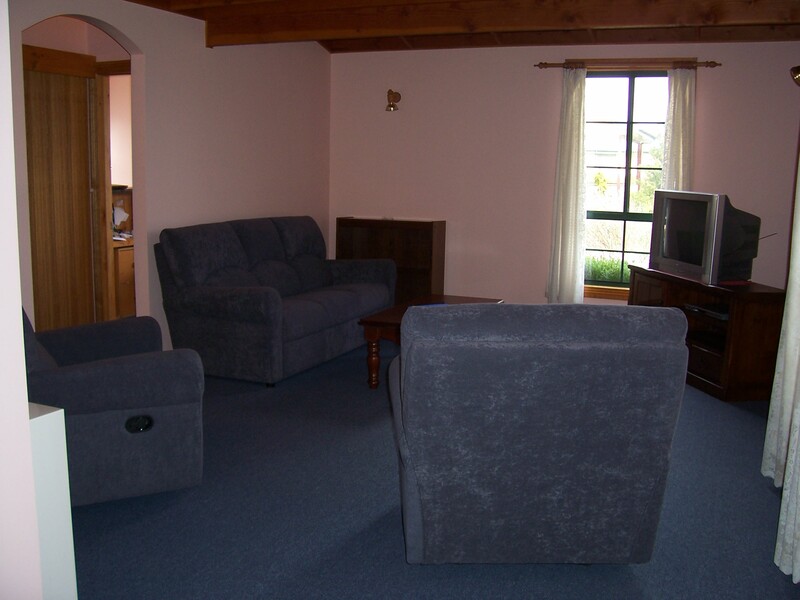 We offer affordable and comfortable accommodation in either a studio or two bedroom apartment or in our three bedroom house. In the apartments you have a choice of an ensuite spa bath or a walkin shower. We cater for the individual, the couple and the family. We are a small family owned accommodation business. We pride ourselves on our friendliness, personal attention and our local knowledge. 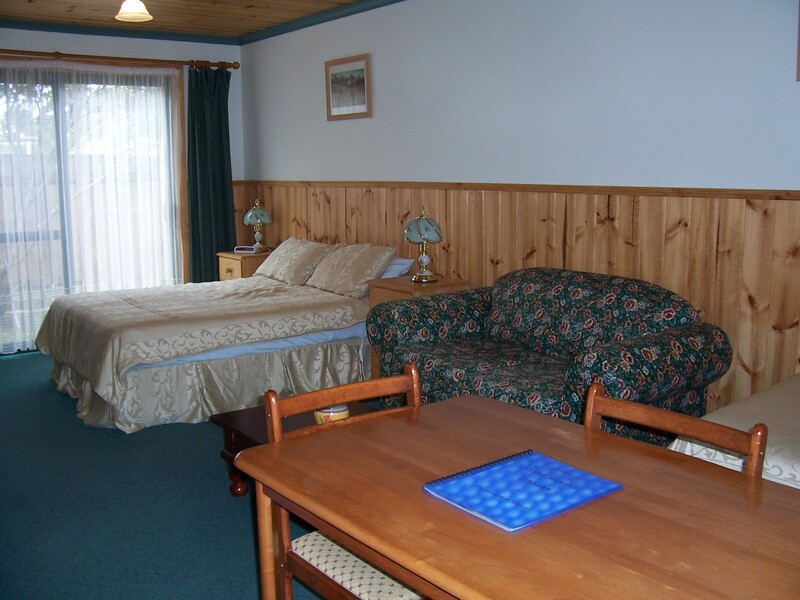 We are situated in a quiet area of town, only two doors from the local golf club and from most other accommodation houses. Our back yard is very private and fully fenced, safe for small children. The Cedar Heights house is a three bedroom house. It has 2 queen beds, 1 double bed and 2 single beds. 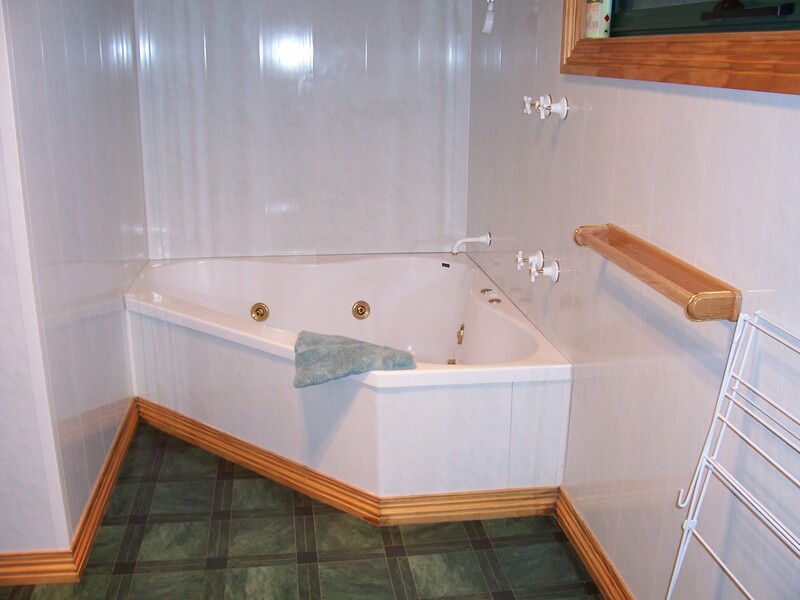 The house contains a spa bath, with a shower over head. Large open apartment with a large ensuite spa bath. The unit is self contained and private. One queen bed and 1 single bed and a fold out couch to accommodate for 5 people. This room consists of one double bed and one single. There is a spa bath, with a shower over the top. This room consists of one queen bed and one single bed. 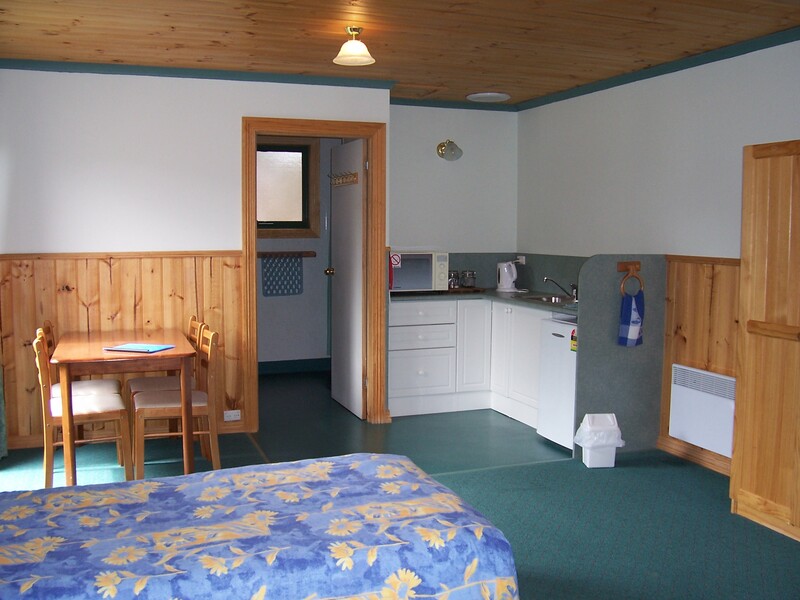 This room caters for those who need disabled facilities, such as a walk in shower. Refer to West Coast Visitor Information Centre.